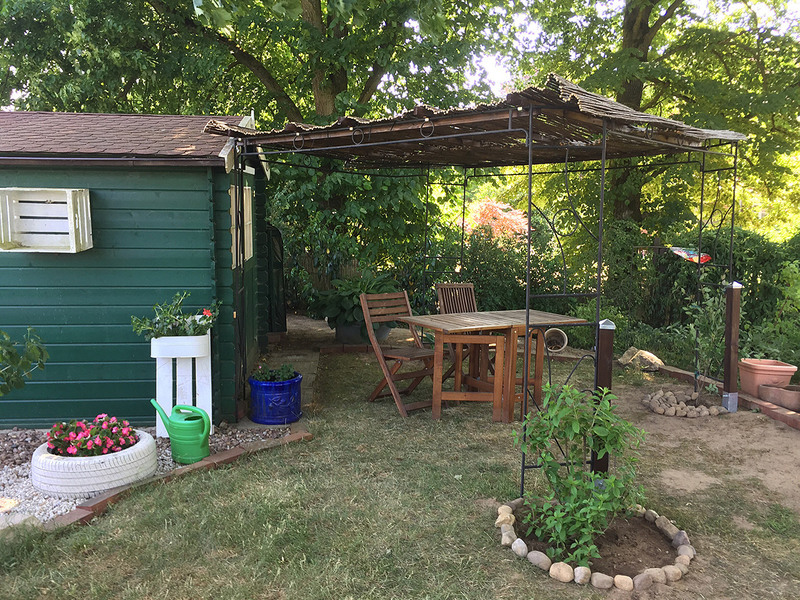 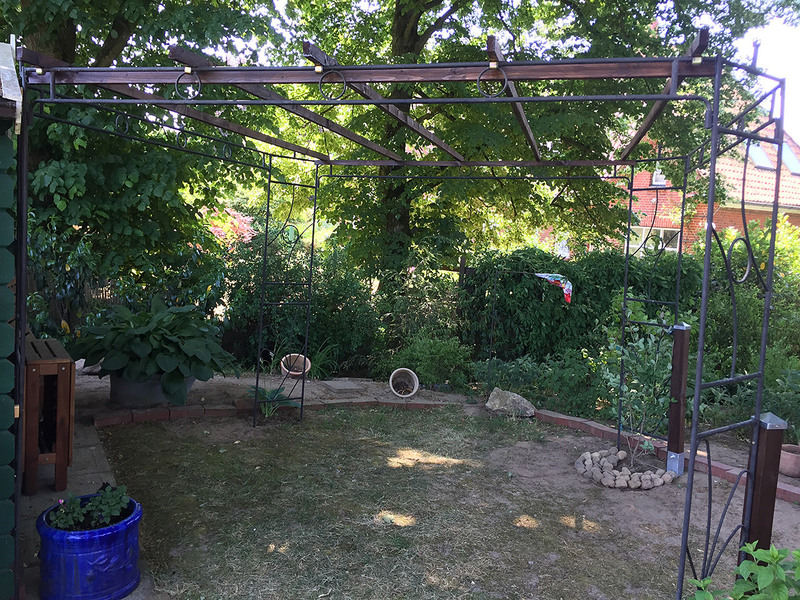 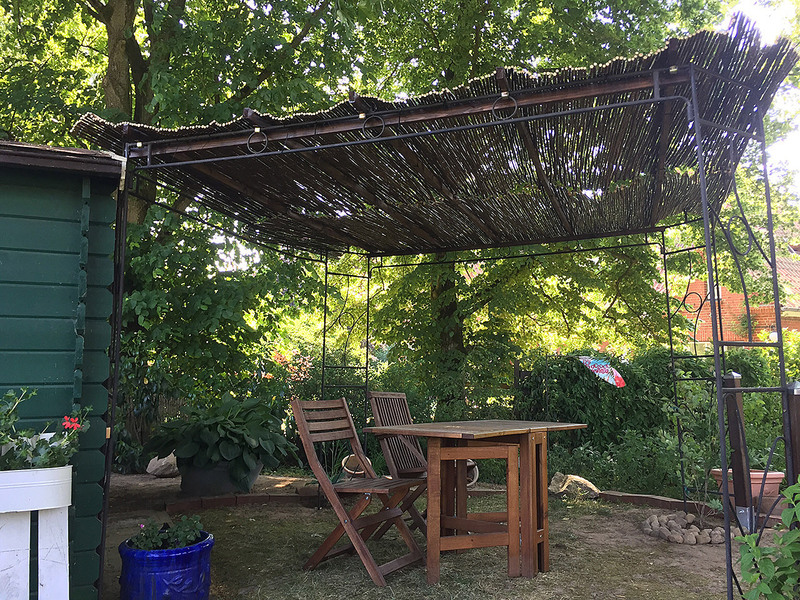 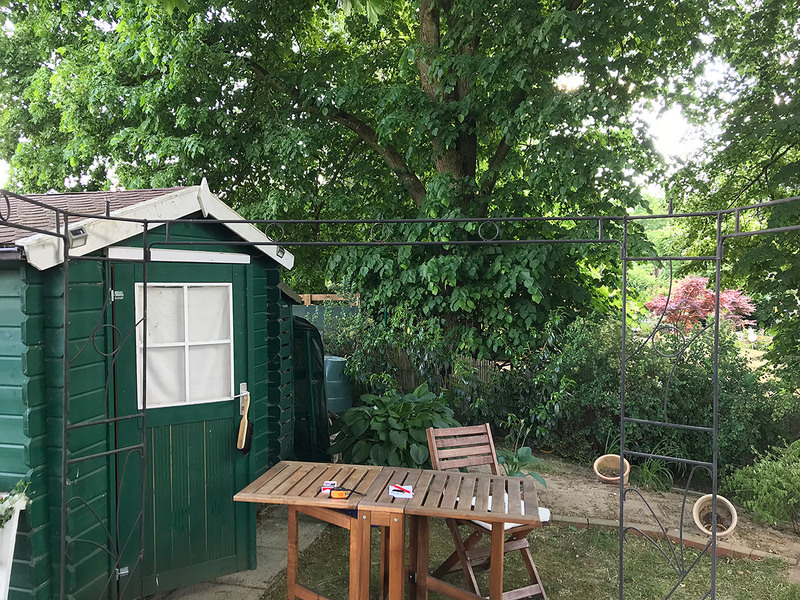 We made a simple pergola from an old garden tent to sit under and drink some beer 🙂 – we wanted to give it some “beach bar look”. 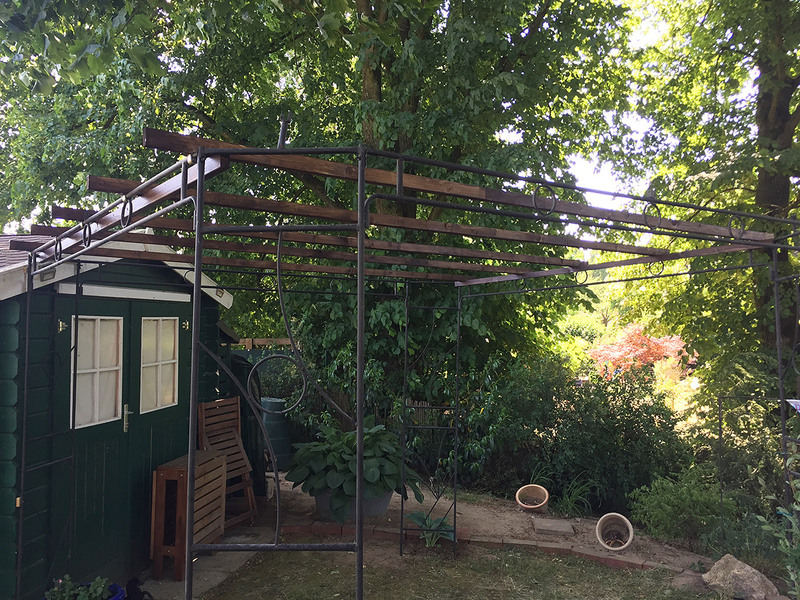 We used the frame of an old party garden tent and attached several 2 x 5 cm bars as a roof construction. 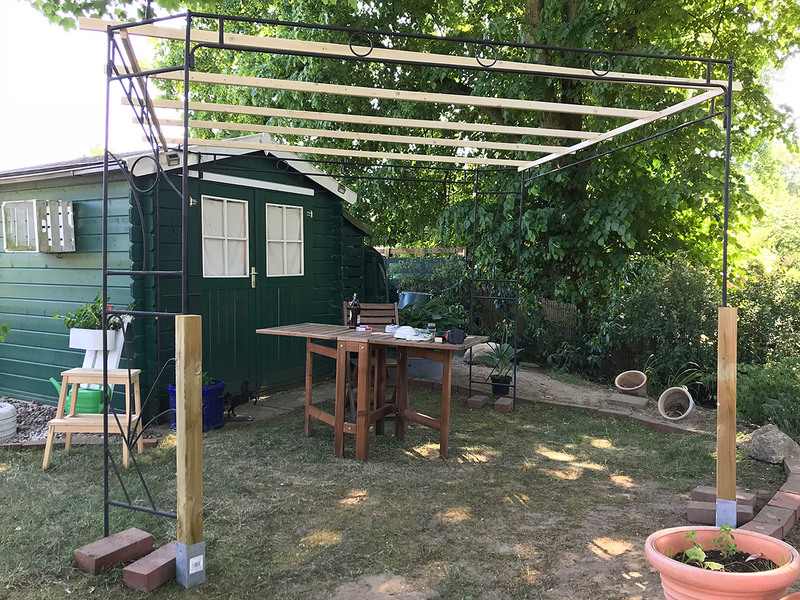 Since it’s often windy there, we secured it to the adjacent shed as well as to the ground using earth bolts and some leftover 10 x 10 cm beams. 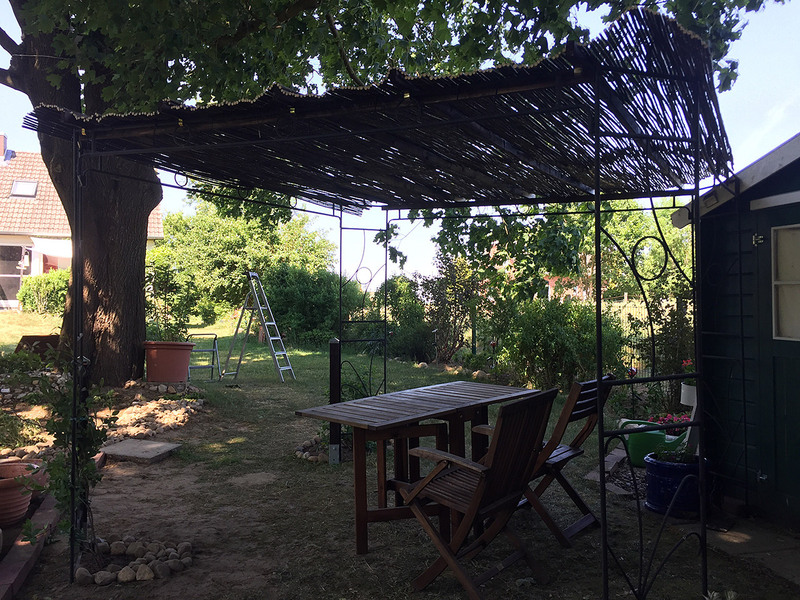 Finally, we made the roof out of willowwood screens from the hardware store. 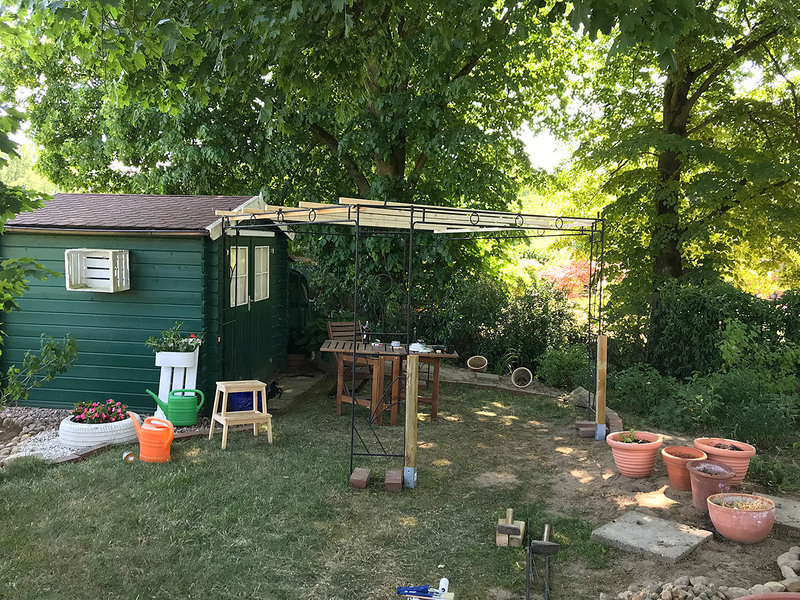 Now we have to tidy up the shed, give it some shelves and cupboards for storage and add some plants to the spot. 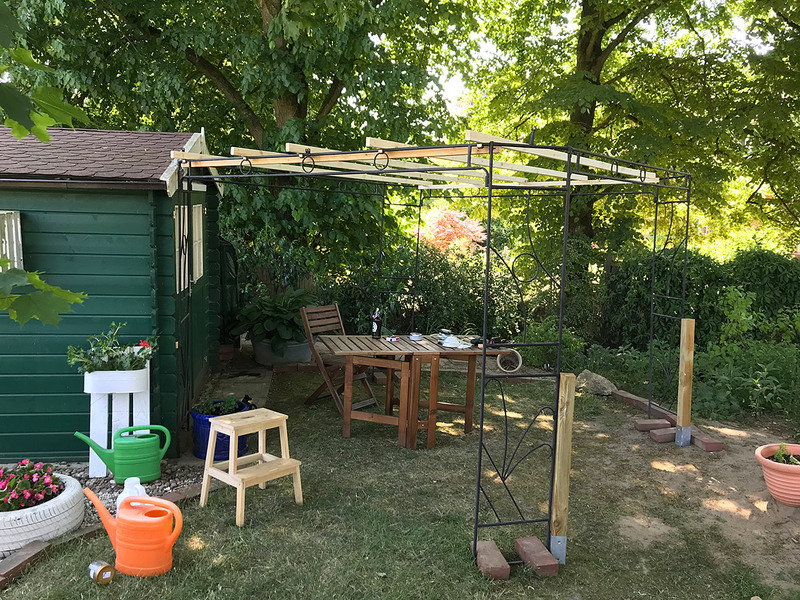 It’s a nice summer project.